It’s been getting colder here, so my layering tendencies are slowly starting to creep back up, but this fuzzy turtleneck sweater has helped me keep my layering to a minimum. I bought it in the middle of the summer thinking ahead to the colder months and I was so right to do so. It’s super comfortable and warm, I hardly need to layer anything underneath (for the time being). 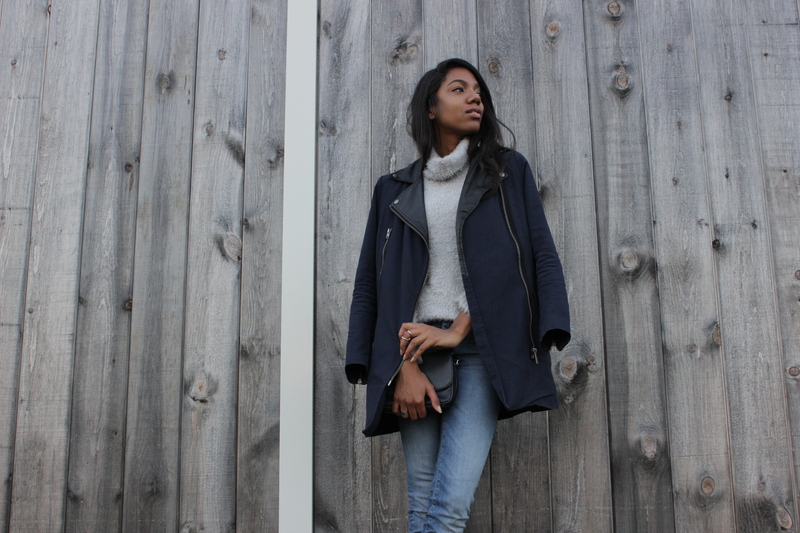 For this look, I paired it with my favourite Zara jeans which I have been living in lately and threw on this navy Asos coat and some heeled booties for a chic casual look. Wow,thank you! I’m extremely flattered! I would love that.